Samsung Model HCM4215W. Still new in the box & never used. No hdmi port but will take s-component cables. Serious inquiries please. Sony projection TV with remote. 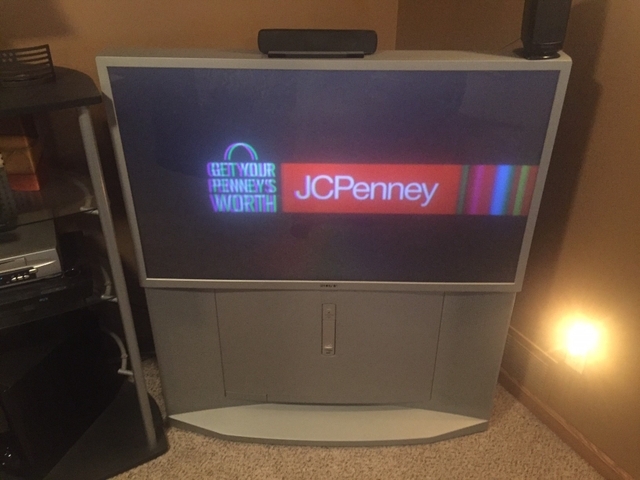 (Speakers on top of TV are not included) Picture tube recently started to act up, causing left side of screen to display in a very mild 3-D effect.